Victor is a company brand that I’ve had my eye on over the past couple of years as they managed to explode on the private aviation scene in a big way. From their initial PR launch from day one they have managed to get their name on the tongues and pens of journalists, bloggers and definitely the UHNW. While they’re not the first jet charter business on the block they’ve managed to put on an amazing marketing effort that got noticed. For those who haven’t heard of them I urge you to take a minute and hit play on the video below to meet a luxury brand that has done it right. This amazing company also happens to pretty much have my dream job up for offer right now and I thought I could share it with our readers. It would be amazing to work with this company and I hope Victor finds the right person for the job. Victor is looking for a Senior Marketing Manager for their North America operations which comes with a lot of responsibilities. Basically the list they provide is what we do for clients so knowing that there is a lot of work to be not only done in this job, but organization and networking are huge. For those looking to step up to the next level and take a senior role in a company that’s disrupted the private aviation industry take note of a few notes about this position. Targeting UHNW customers online and off isn’t an easy task, we here at Luxury Branded like to think of it as an art. Before applying to this job, or even if you’re not but work in marketing take a look at what they’ve done over the years. They’ve managed to utilize various clickbait headlines and pitches that have worked out real well scoring them links from the likes of Business Insider, Haute Living and Wired. We have an opportunity for a luxury brand-marketing expert who wants to make a major mark in the transformation of the private jet industry. Founded in 2011, the Victor is the fastest growing provider of on‐demand jet charter in Europe, with impressive revenue growth (B2C) year-on-year since launch. 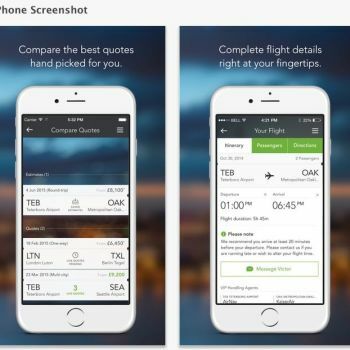 Q2 2015, Victor launched in the US with expanded global service, added funding and a new booking app. There are a lot of key points them make in the job listing that are honestly really challenging and this job is going to be both difficult and very rewarding. I can tell you from experience acquiring customers from other charter companies and enticing new ones is no easy task. Reaching them requires a precise marketing campaign and my hat goes off to anyone who can pull that off. There’s a lot more to it so if you think you have what it takes to apply for this job and you live in NYC or LA then definitely apply now.